Occasionally there are crafts that start off with all the right intentions. All the right creativity. All the right imagination. But they just end up wrong, ugly and weird. And not something I want on my front door. It started with me finding a package of lawn chair webbing at a garage sale. 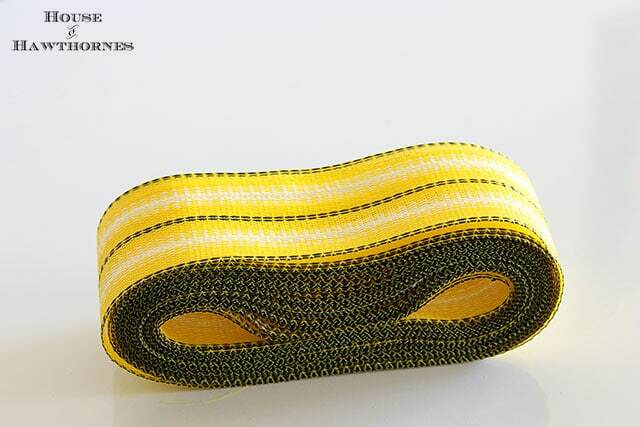 The kind that was used to reweave those 1960’s aluminum lawn chairs. You know. The ones that made permanent waffle like indentations on the back of your thighs. And the arm rests would get hotter than h-e-double-toothpicks. Aluminum, sun and summer heat. Add three and three together and you get one major design flaw. But they bring back fun summer memories for me. I spent the better part of my childhood summers camping at the lake. 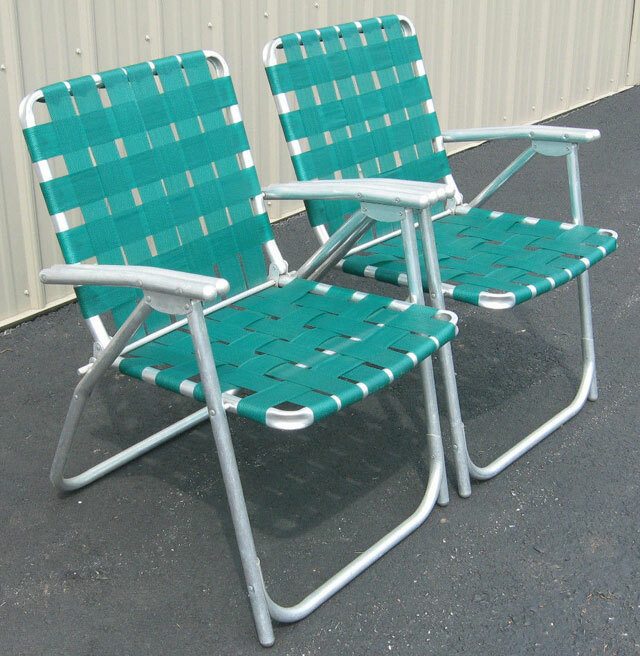 We always had these type of chairs folded up near the trailer. We’d just grab one, unfold it and sit by the campfire. Or pool. Or lake. Yes, I spent a good portion of my summers in those chairs and with waffle-like thighs. Still have the waffle-like thighs, but now I believe it’s called cellulite. Anyhow, I was really excited about finding a roll of the stuff and, as I was handing my quarter over to the garage sale lady, I already had a glimmer of a cool craft in my mind. 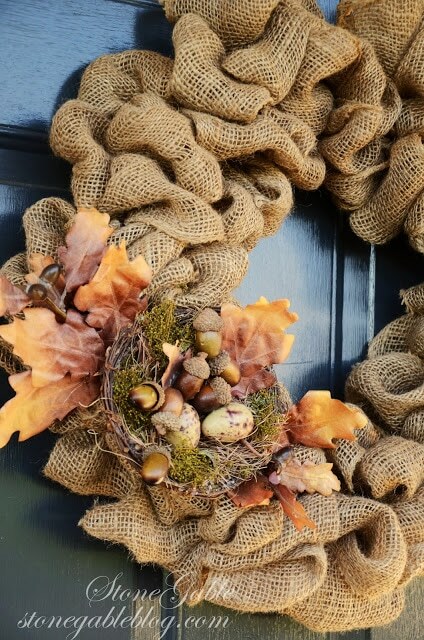 Originally I was going to do a wreath sort of like the burlap wreaths you see on Pinterest. But made with vintage lawn chair webbing!!! Yes, this was going to be so cool! Then I discovered that chair webbing is stiff. Way too stiff to weave in and out of a wire wreath form. It just sort of stuck straight out. So I bought a straw wreath form and just wrapped it around that. Uh, not quite what I had in mind. After that, the stupid wreath just sat on my kitchen table. And sat. And sat some more. That stupid thing sat half done on my kitchen table (that we never eat at) for at least a month. I wanted something vintage-ish to go with the lawn chair webbing. Something summery or camping related. But couldn’t find anything that floated my boat. Yes, I even found a toy boat for the wreath. Looked silly. Enter Lorelei. And a pair of Dollar Tree flip flops. Before you knew it, I was hot gluing them on to the wreath. I was bound and determined to finish this wreath once and for all. And yes, I finished it. But the thing was just pretty darn ugly and tacky and just about anything I didn’t want it to be. 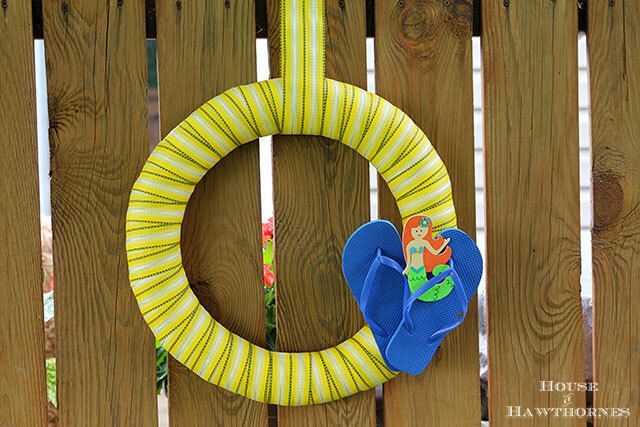 Really, how cool would a wreath made out of lawn chair webbing be! Ends up, not very. Not very cool at all. Even Lorelei is bailing on this one. You are too hard on yourself. Another idea would be adding a strategically placed cluster of hot-glued shells. 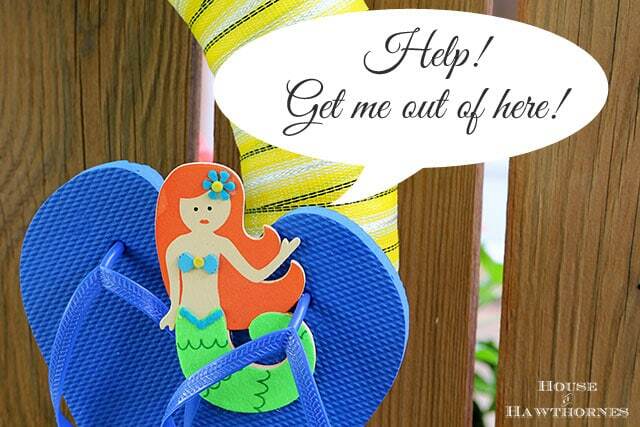 I’m loving the idea of flip flops though. Shells!!! Why did I not think of those! Great idea. Amen for starting projects with great intentions then stepping back and thinking “What in the World was I thinking!” Too funny! in the middle with fancy lettering.. saying Lemonade 10 cents. It makes me smile, so it’s a winner in my book. Love little Lorelei’s expression. Like somebody threw her a lifeline and she’s not quite sure what to do with it. It’s actually cute, but it’s not YOUR style or MINE either. I have one of those garden hose wreaths on my front door right now. I made it last year with what I had on hand, but it’s just not “right” somehow. But, at least I don’t still have my Christmas wreath on my front door, so that’s good enough for me! 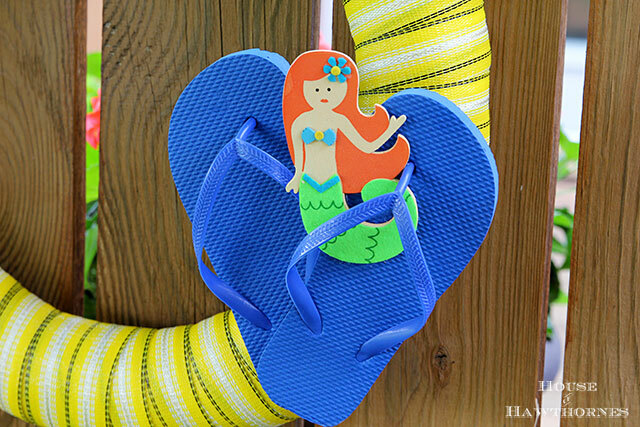 Your wreath makes me smile because what in the world would a mermaid do with flip flops (she has no toes)! You made me spit my pop out! I never thought about the whole no toes thing! Sort of obvious now that you mention it! (tee, hee) WELCOME to ‘My World’ of Pinterest Projects GONE WRONG!!!! Do you think that there is a Land for ‘MisFit Projects’, like the ‘Land of Misfit Toys’ in Rudolph?? I think it is cute. Has a BIG summer feel to it. Really not bad at all. I think it worked out after all, because you made us all smile today, Pam! And think of our failed attempts at creating what we imagined something could be, of which there are many! I have a major weakness for those chairs, especially aqua and pink ones. I have several that I have picked up at sales for super cheap. I also have the waffle thighs and 3rd degree burns to show for them. I wouldn’t hang it on my door but it isn’t that bad. You know, if you were R.V.ing somewhere, it is so tacky to be kind of cute. Here in Maine, when we see a baby that isn’t the cutest, we call it, “Cunnin'” Your wreath is cunnin’. Bring it to Goodwill and I BET someone will buy it and be happy to have it. I think you should put a tiny lable, “Made by Pam” so they would appreciate it is one of a kind!